I have been knitting since I was about 8 years old and it has become a real passion for me now. I started out with the basic stocking and garter stitches until I mastered them. Everyone in the family got a handmade scarf from me. I’ve since learned cables, fair isle, intarsia, lace and many other complicated stitches and I love, love, love knitting them in all kinds of patterns. But, you don’t have to learn intricate or perplexing stitches to create a beautiful garment. The Seed Stitch may be all you need. The fundamental Knit 1, Purl 1 stitches can be cleverly designed to create a stunning pattern. This is the scope of my new book Seed Stitch, Beyond Knit 1, Purl 1, using the basic K1, P1 stitches to produce handmade classic wearables. Modern Twists to a Timeless Stitch! 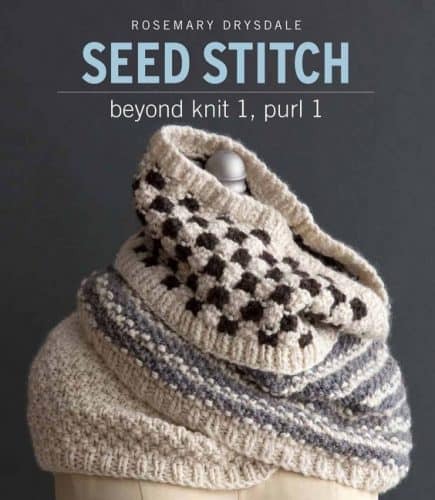 The Seed Stitch pattern book is a compendium of 60 resourceful swatches and 25 trendy patterns that welcome this classic stitch into the 21st century. Pattern included are scarves, hats, pillows, bags, garments and much more. Each pattern is rated for specific skill levels from beginner to easy to intermediate to experienced. At a glance, you’ll know if you can attempt the pattern. The beginning of the book offers advice on how to knit with the seed stitch from making sure you have the right gauge to knitting in rounds to decreasing and increasing a stitch to binding off. If you’re not experienced with knitting with more than one color or need a refresher, then you’ll appreciate their color photo tutorial. The images show you what the front and the back should look like when using two colors. The swatches start off with the simplest pattern and they work their way up to more complex designs and using more stitches like cables and geometric patterns as well as several colors. I personally love swatches; you can see the pattern, the texture and what the finished product will look like. Each swatch comes with a written pattern and a graph to follow. Use the one that feels the most comfortable for you; I like using the graphs myself. Looking at the various swatches will inspire you to get creative and design your own seed stitch pattern. The book provides two grids that you can photocopy and start charting your own design with colored pencils. There are a few factors to also consider when designing like types of yarn, the thickness of yarn, number of repeat pattern stitches, gauge, and so forth, but the instructions will walk you through each area. It’s also important to know that if you start your pattern with a knit stitch, it will have a different effect than if you start with a purl stitch. It just depends on the look you’re going for. The back of the book has an abbreviation chart, a knitting needle chart in US and metrics and a yarn weight chart that also includes the size of knitting needle or crochet hooks to use. I find knitting therapeutic, it’s so relaxing and meditative. I can zone the day out and just focus on being creative. I really enjoyed making a few of the patterns in the Seed Stitch, Beyond Knit 1, Purl 1 book, they’re easy to make and you can finish the projects very quickly. The book is ideal for both beginner and experienced knitters. Winter flurries are in the air and that means Christmas is near. I like to make a lot of my gifts for the holiday season and most of the patterns in this book can be made in a short time. If you know a knitter, then the book itself would have a great gift as well. The book is available on Sixth and Spring and Amazon. This would be a very nice book to have to knit these lovely swatches and to add more creativity to my knitting. I would love to win this for my mom who loves to knit! My Mom loves knitting. I’d like to give her this book. I’m teaching my granddaughter to knit so this would be great to win. I am planning to teach myself to knit this winter so this book would be extremely helpful! I have been knitting for over 50 years now and find there is always new stitches to learn. I would love to try some of those that are shown above. I am not a good knitter, but really like these patterns and like that I can start off with the easier ones. A close friend of mine loves to knit. This would be a great gift for her. I am getting back into knitting which is why I would love to win this prize. I would like to try knitting again. I remember my mom talking about the seed stitch; she was a great knitter. I’m a self taught knitter and love to soak up all the information I can. I like to win this for my mom and her care worker. They both love to knit. My daughter received a baby blanket as a gift knit by a friend. The pattern in it was very much like one of these. I’m a knitter, but would like to learn how to do these stitches. Thanks for the chance. I love to knit especially in the winter time. This book would give me some new ideas. I love to knit and love to use seed stitch as borders on blankets and cuffs sweaters. I would love to learn some new seed stitch patterns to use in my knitting. I’ve always wanted to start knitting, this would help get me started! My mom is interested in this kind of stuff so I would gift this to her. I want to win so I can give this book to my mom! She loves knitting in the colder months!! Thanks this chance!! I want to win so I can learn how to knit. Simply because I love to knit and crochet! The nights will be getting longer and colder, it is time to stay in and start making things to keep warm again. I want to win for my daughter who has begun knitting and crocheting. I’m learning to knit and would love to try this stitch too. Thanks! My co-worker is a knitter. I would love to win this for her! I would love to learn about knitting. I want to win because I’m eager to start knitting again this winter and I want ideas. I want to start knitting again and this book would be so helpful for me! i would love to get into knitting. My sister has managed to learn the knit purl stitch and would like to try her hand at knitting more cteatively. Unfortunately our Mom is no longer able to off assustace. 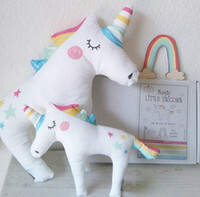 This woyld be a fabulous gift for my sister. This looks like it could help my knitting go to the next level. These patterns look so pretty and I desperately want to learn how to knit. I’d love to win this to offer it to my best pal. She’s a wonderful knitter and she loves finding new patterns toto try. I want to win it for my mom. My mother-in-law loves knitting. This would be great for her! I’ve tried knitting a few times and if I had a book of my own maybe I’d be able to give it a real chance. I want to get back into knitting. I used to make outfits for my daughter even without a patter. I would love to start knitting sweaters for the family now but I need a pattern now. I used to knit but got out of it due to health. Now I want to get back into it. Such a great past time and a great gift to share. I started knitting a year ago and now I’m slowly getting better at it. Would love to have a book for reference when learning new and more complicated patterns! I’d like to win this for one of my girlfriends. She’s very craft and always makes all of her gifts. She gave me a beautiful scarf one year and she made me a bunch of sweet baby hats when I had my daughter. I’m a beginner knitter and this book will expand my ability. I would like to win so that I can have some patterns that can be made with my skill level. I’d love to win because I’ve not done a knitting project in ages and could use the inspiration. Thanks for sharing with us! I would want it for myself. My knitting skills aren’t up to par with my crocheting skills and this looks like lots of fun to learn! I love learning more knitting techniques. I would like to win this because it would make a perfect holiday gift for my mom. I’d like to win because I love to knit and this looks like a fun book! I think it is time for me to learn some more complicated knitting. I want to win this prize because I’ve been knitting for years and recently ventured into knitting without specific patterns – it would be great to have some charts I could use for my projects. i would love to win this for my mom. she would love it. I would like to win this because my daughter would like this. This would be perfect for my cousin. She loves to knit. Love to win this to share with my girls who are all taking up knitting and crochet! I’d like to win so I can make some new patterns. I have always wanted to learn how to knit, so I would like to win this for me. I’m learning how to knit and my daughter is interested in learning it with me as well! I am just learning and very excited to make things! I’m waiting for Black Friday to purchase supplies! I think I caught the bug because I have a grand baby on the way! I am a beginner knitter and this book will help a lot! I would ;like to win this for my Aunt. Thank you. I’d love to win because my daughter wants to learn how to knit. I want to win so that I can see if I would like to learn how to knit. I’d like to win so I can add more variety to my knitting.